The National Petroleum Authority (NPA) has said petroleum service providers that sell products meant for export on the local market risk losing their licences, as it intends to “go hard” on the tax evasion practice. The NPA disclosed a couple of weeks ago that it had impounded 15 trucks, containing fuel supposedly meant for export to Mali but were being rerouted back onto the local market. Each of the trucks carried 54,000 litres of either petrol or diesel, worth some GH¢1.4 million in total. 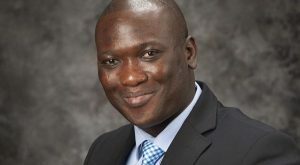 The NPA’s CEO, Alhassan Tampuli, explained to journalists at the Energy Ministry, yesterday, that the trucks, which had Malian number plates, were driven to a hideout at Kpong where the number plates were replaced with Ghanaian ones. “We have taken custody of those trucks. They are parked at the NPA yard in Kpong. What we intend to do is to go hard on people who deliberately try to evade tax,” Alhassan Tampuli said. Oil Marketing Companies have been wailing over the impact of the practice on their volumes, as it undercuts them and makes them sell less. The incentive for the smugglers lies in the fact that, due to ECOWAS protocols, products meant for neighbouring countries do not attract levies, taxes and margins, which constitute up to 51% of the pump price of products sold locally. By diverting products meant for export back onto the Ghanaian market, the illegal operators are able to sell at lower prices and undercut genuine operators. The volumes, he said, did not match the volumes recorded by the Malian and Burkinabe regulators as official imports from Ghana, confirming that most of these products do not reach the declared destinations. The OMCs have long been calling for sanctions, threatening to lay off workers if the government did not clamp down on the underhand activity. “Until somebody is arrested and processed and sent to prison, this thing will never ever stop,” William Tewiah of Zen Petroleum said during an interaction with the Energy Minister, in May. As part of measures to curb the dumping of products meant for export on the local market, government has decided that the Bolga depot of the Bulk Oil Storage and Transportation Company (BOST) should be the sole export depot for the northern sector and its Accra Plains depot as the sole export depot for the southern sector. If this is effectively implemented, a truck with a Burkinabe or Malian number plate is not supposed to be seen down south in the name of carting fuel for those countries.